Sie sind hier: Home | Ausstellersuche | IV San Bernard S.R.L. Iv San Bernard is an Italian firm which sells Top line Cosmetics, Furniture , Accessories and Equipment for grooming. 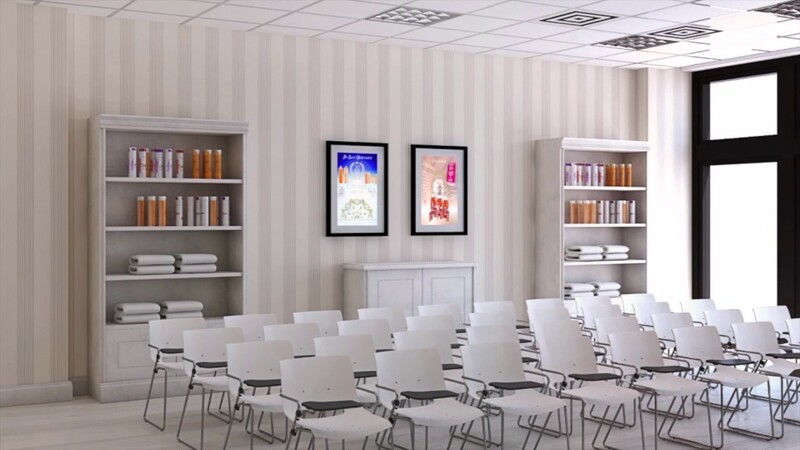 Our multi-year experience in the grooming and cosmetic market, let us build a winning international Brand which is synonym of Solidity, Quality and Innovation, being present in over 30 countries worldwide. Thanks to the contribution of experts, Iv San Bernard has developed various lines of cosmetics for dogs and cats: from products for maintenance to those for enhancing the coat during shows and beauty contests. In our vast range we find specific products for any kind of coat, or specially designed for SPA treatments; traditional or innovative cosmetics, so as to satisfy every requirement of the customer. Iv San Bernard provides a wide range of accessories that allow the groomers to better express their own professional skills by improving the final result of the work and thus increasing customer satisfaction. By partnering with local companies recognized for their craftsmanship, Iv San Bernard offers a wide range of professional furniture specifically designed to provide the groomer a functional and elegant working environment. The success of our products is due to their high quality and to a specific educational program , that is why we constantly promote the skills and knowledge necessary for taking care of pets. We have more than 20 academies worldwide and we organize highly specialized grooming and cosmetic courses with some of the best international technicians. Our customers are veterinary clinics, grooming salons and pet shops and our philosophy is based on the Animal Health, which we consider the most important value to be preserved.